There is no suggestion in any of the three gospel accounts of Christ’s birth that the family were refugees. Mary and Joseph were traveling to Bethlehem to participate in a census but were not fleeing their country. Democratic congressional candidate Alexandria Ocasio-Cortez speaks at her midterm election night party in New York City, U.S. Nov. 6, 2018. REUTERS/Andrew Kelly. Illinois Democratic Rep. Luis Gutierrez berates DHS Secretary Kirstjen Nielsen at a House Judiciary Commmittee Meeting, Dec. 20, 2018. Fox News screenshot. 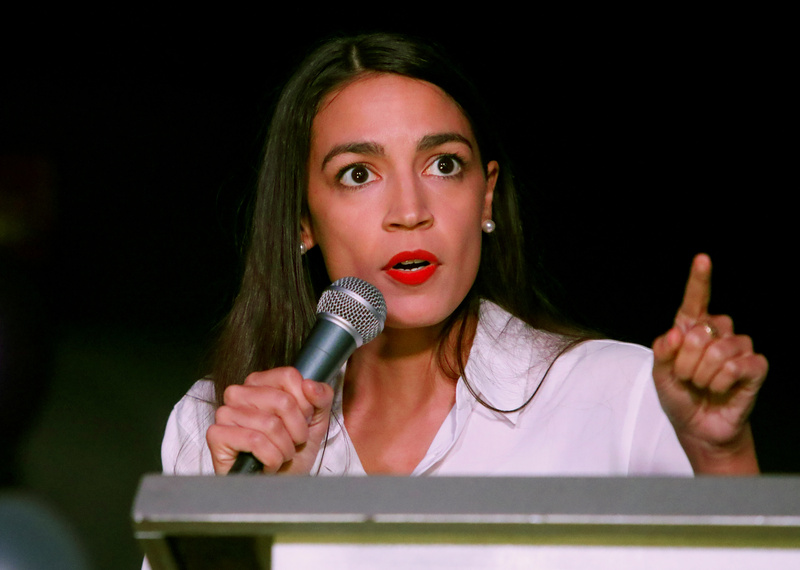 This is not the first time that Ocasio-Cortez has posited questionable historical parallels. She recently took heat for a tweet that compared the migrant caravan parked outside the San Diego border with Jews attempting to flee the Nazi Holocaust. She has also suggested that the Allied victory in World War II should serve as a template for winning the war against climate change.